As the city of Detroit looks to make a comeback, its resurgence and economic development continue to get national attention, but there is a large group of people who get left out of the narrative when we hear stories about the city bouncing back: women of color. A new report by the Black Worker Initiative at the Institute for Policy Studies aims to change that narrative by amplifying the voices of the women who are working to help improve the city’s future and boost its residents at the same time. “I Dream Detroit: The Voice and Vision of Women of Color on Detroit’s Future” lifts the voices of the women of color who are meeting the needs of long-term residents who have been left out of the city’s revitalization, because their voices should inform Detroit’s economic-development planning, too. Women of color make up 91 percent of all women in Detroit, and a substantial portion of them live below the poverty level. “I Dream Detroit” finds that even with those odds (and others) against them, the women of color in Detroit are resilient. Many of them are self-employed and employ others as business owners and nonprofit leaders. They provide critical services for those in need, hold public office, and even restart their lives after incarceration and other hardships. 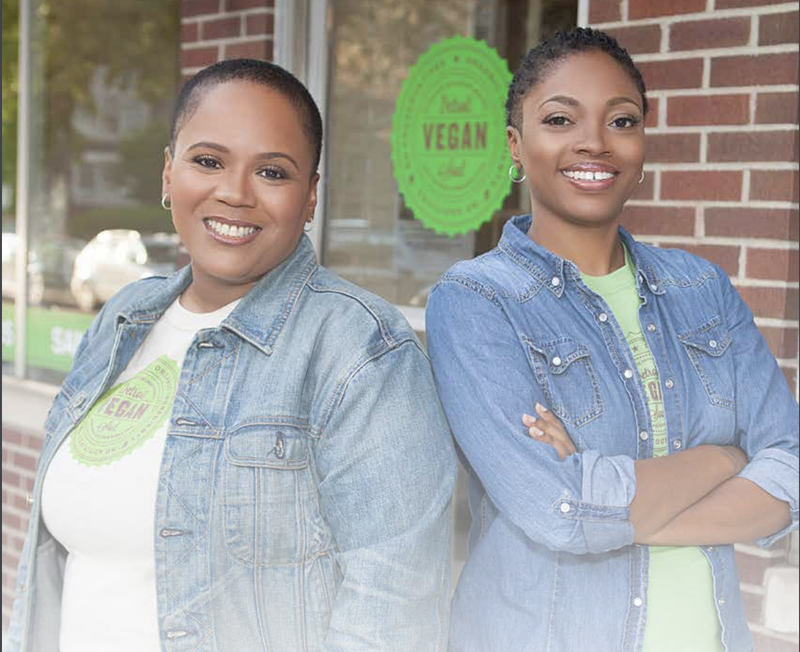 Among those profiled are women such as Anika Goss-Foster, executive director of Detroit Future City; Minnie Davis, the founder of the mentorship program Young Men-N-Motion, who has served as a surrogate mother to over 300 young black men; nationally recognized Detroit Vegan Soul restaurateurs Erika Boyd and Kirsten Ussery-Boyd; and the Rev. Roslyn Bouier, who runs one of the city’s largest food pantries. The perspectives of over 500 women of color who participated in focus groups and a citywide survey last year are also featured in the report. Despite the contributions they have made to the revitalization of Detroit and its communities, many of these women feel that the economic development happening in the city is not intended for them. The majority—71 percent—of survey respondents do not feel included in Detroit’s economic-development plans. Among business owners and nonprofit leaders who responded to the survey (19 percent of respondents), 52 percent report employing people from disadvantaged communities. Despite high levels of education among survey respondents (28 percent with some college education, 34 percent holding undergraduate degrees and 30 percent earning advanced degrees), only 50 percent of survey respondents reported earning a living wage. Among mothers with dependent children, 60 percent reported not earning a living wage. Mothers with dependent children report making ends meet by working together: Fifty-two percent lend one another money, 52 percent share transportation and 30 percent watch one another’s children. Detroit should provide capital investment in solutionaries’ enterprises. Lack of or limited access to capital is the No. 1 barrier to businesses and nonprofits fully actualizing their potential as economic engines. Solutionaries need a space for cross-community collaboration and support. These spaces can be used to share and replicate successful models and set citywide policy priorities. Solutionaries should be involved in economic-development decision-making spaces. These women are thought leaders and strategists, yet 73 percent of survey respondents say that big business owners and investors are the ones shaping Detroit’s economic development. Solutionaries need a pipeline for recruitment into key leadership positions. These leaders and strategists should be recruited into key positions and onto boards of directors of businesses, nonprofits and foundations in Detroit. How is it that the images I see about Detroit’s revival don’t often include these women? Imagining and building a new Detroit without their meaningful participation will prevent Detroit from fully coming into its potential and promise. This report introduces to some, or reintroduces to others, new partners that economic development leaders should be working with more closely. Brown told The Root that she wanted this report to show that women are holding it down in Detroit and have been for a long time. “The question that the report is meant to evoke is, if these women are doing so much with so little, how much more could they do if the investment was in their enterprises—be they nonprofits, businesses—or as residents and anchors on their blocks, in their neighborhoods and in the city?” Brown said. She added that capital investments by banks and other entities that invest in for-profit enterprises need to happen. According to the business owners who are profiled in the report, Brown said, the biggest barrier to expanding, stabilizing and growing their businesses is the lack of financial capital. Brown said that there also needs to be greater investment in the nonprofits that the women run so that they are able to do more. “That kind of investment can come in the form of grants,” she explained. The third kind of investment, Brown continued, is the investment in spaces where these women can come together to strategize and be in relationships with one another, to build up one another and know that they are not so isolated. There also needs to be an investment in information sharing, Brown said: “We need a system of communication that allows a broader network of solutionaries to be in communication with one another.” We also need to build an infrastructure that allows them to be in better communication with one another, she said. As Goss-Foster told The Root, there are many aspects to the redevelopment of Detroit, and many different women engaged at different levels. She sees “I Dream Detroit” as a starting point and a foundation for similar projects in other urban cities nationwide. “‘I Dream Detroit’ is just Detroit’s story. There are similar stories in every city, and there’s a real opportunity to collect these voices and create a collective impact to advance the agenda to improve the lives of people of color in other cities.” Goss-Foster said. “You don’t have to work individually; you can work collectively to create an impact,” she added. The women profiled in “I Dream Detroit” are doing just that.